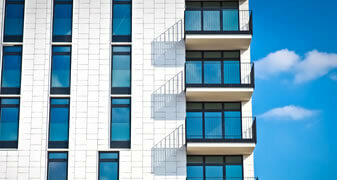 SPECIALIZES IN INSURING CONDOMINIUM OWNERS THROUGHOUT THE ENTIRE STATE OF FLORIDA. As Florida residents return home after being evacuated by Hurricane Irma, the pressure is on the insurance industry to keep a bad situation regarding assignment of benefits abuse in the state from getting worse. Florida regulators, carriers, industry trade groups and lawmakers are all echoing the same advice to policyholders: now’s the time to contact your agent or insurer and file claims. “CFO Jimmy Patronis and Insurance Commissioner David Altmaier encourage Floridians to be prompt in notifying their insurance companies and cautious of repair deals that sound too good to be true,” the Florida Office of Insurance Regulation alerted consumers in a statement released Tuesday. While Florida was spared the worst-case scenario by Hurricane Irma in terms of the storm’s strength, the state still suffered significant damage from wind and coastal flooding. Agents and carriers are just starting to deploy resources to affected areas, and stakeholders say timing will be of the essence as “bad actors” will be on the prowl for homeowners willing to assign to them the right to obtain insurance benefits to deal with damage to their homes. The assignment of benefits, or AOB, scams that the industry is warning against stem from certain contractors and attorneys cashing-in on homeowners who are dealing with a water loss, most commonly a burst pipe or roof leak. The “bad actors,” as they have been dubbed by the industry, use an AOB to acquire the homeowners’ insurance benefits, file inflated claims, and then pursue lawsuits against insurers when those claims are disputed or denied. Because of Florida’s one-way attorney fee statute, insurers are left footing the bill for the inflated claims and the attorney fees. Carriers across the state have seen an increase in litigation because of these inflated claims, but Citizens, the state-run insurer of last resort has borne the brunt of the abuse. It reported an average of 693 lawsuits per month between Jan. 2017 through July 2017. As of July 31, 2017, the company had 10,666 lawsuits pending – a 33 percent increase compared to the same time last year – with 93 percent of those lawsuits coming out of South Florida. Many in the industry have worried that a significant catastrophe event will escalate the assignment of benefits abuse for Citizens and the private insurance market. Regulators aren’t wasting any time getting the word out to consumers to be wary of anyone asking them to assign benefits, and have sent out numerous communications and created an information site on how to file claims and an AOB Fact Sheet. OIR encouraged agents to use these resources to educate their clients. Christopher Hackett, senior director for Personal Lines Policy for the Property Casualty Insurers Association of America (PCI), said agents will play an important role in informing policyholders about the risks associated with AOB. Jeff Grady, president of the Florida Association of Insurance Agents (FAIA), said his group hadn’t yet heard of the abuse occurring related to Irma, but he expects it won’t be long as evacuees return to their homes, inspect damage and begin efforts to repair damage. Most of the damage he’s heard of so far is coastal flooding and some structure damage from wind. “That likely means many property losses will be uncovered… [either] below the wind deductible or no flood coverage,” he said. Grady added that the early advisories from regulators are important in helping to stem fraud and abuse, and FAIA agents are doing their part to educate their customers. The Florida Property & Casualty Association (FPCA), which represents Florida domestic companies, said it echoes the warnings and advice issued by Florida regulators regarding ways to avoid scams and fraudulent contractors. The Florida Chamber and the Consumer Protection Coalition, a group of stakeholders formed to fight AOB abuse, also encouraged agents to join the chorus of those educating Florida homeowners and auto owners so they know that they don’t have to sign an AOB to get much needed repairs made. “We’re working to protect Floridians from AOB scams, and the more Floridians know and are informed, the better we can protect them,” said Florida Chamber of Commerce’s Vice President of Public Affairs Edie Ousley. Ousley said agents can visit FightFraud.Today or FloridaChamber.com/Hurricane for more details on how they can help their clients. Scott Johnson, president of consulting firm Johnson Strategies in Florida currently working with FAIA, said agents are making their way back to their own offices, executing their catastrophe plans, fielding calls, assisting with “First Notice of Loss” completion, explaining how deductibles work and explaining flood insurance. He said FAIA has been advising agents to “never recommend a vendor that uses an AOB,” because most reputable vendors use an approach called “direction to pay” which eliminates the need for the homeowner to front money but does not usurp all of their rights and benefits. “There is always a water extraction firm, roofer, rebuild contractor available in every town in Florida that will do a good quality job, guarantee their work and not require an AOB be signed,” Johnson said. FAIA also entered into a partnership with a statewide water mitigation firm that doesn’t use AOBs and is endorsed by carriers. “Hopefully agents are following FAIA advice in this regard and recommending [the firm] whenever they’re in doubt about what a carrier might prefer them to do,” Johnson said. Managed repair programs became a sore subject for some in the restoration industry early in the summer when Citizens announced it was seeking approval from Florida regulators for a $10,000 cap on non-weather-related water damages for clients who chose not to use a Citizens-approved contractor. They argue policyholders were being penalized for using their own contractors. But the insurer said it was doing what it had to do to slow losses from AOB claims. © 2018 Statewidecomme.com All Rights Reserved.